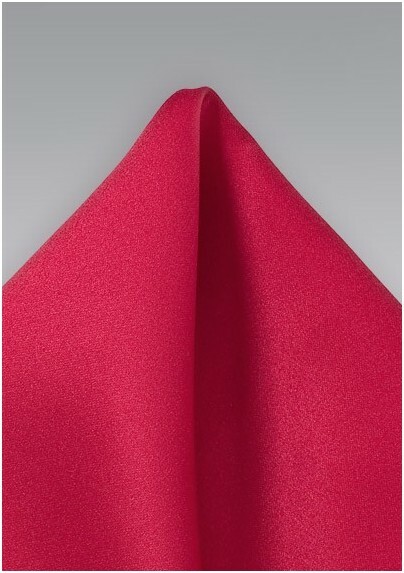 Add a punch of panache to your sports coats and suit jackets with this simple and dashing crimson red handkerchief. The small splash of color works wonders to add sophistication and individual style to any ensemble. 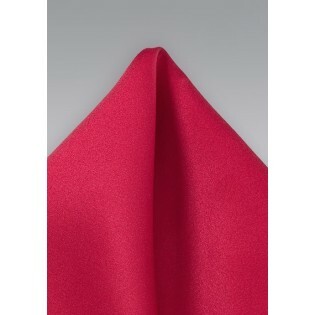 This uber versatile menswear accessory has an exact matching crimson red tie and the two work as a perfect fashion duet when paired with a black suit or tuxedo. Crafted from a high quality, wrinkle free microfiber.